Sponsored research chairs, considered the pinnacle of an academic career, are on the rise. But business schools are struggling to find suitable people. Arjun Chathukutty is a 26-year-old student at Mumbai's Shailesh J. Mehta School of Management (SJMSOM) . He is specialising in operations research for his management degree. He loves the subject, but isn't so sure about taking up a career in research. "It takes a long time to get into," he says. Chathukutty's response is typical. Research in management holds little appeal in India and several sponsored research chairs at business schools are lying vacant. The ICICI Chair at SJMSOM has not been filled for almost five years. "We don't get top talent from India," says Gajendra Adil, head of SJMSOM, which is part of the Indian Institute of Technology, Bombay. "We are still primarily teaching institutions. Then there is corporate training. There is relatively little time for research." It's the same story at many leading business schools in India. Sponsored research chairs, considered the pinnacle of an academic career, are on the rise. But business schools are struggling to find suitable people. The Indian Institute of Management, Ahmedabad, has been looking for someone to fill a chair created by the Reserve Bank of India for a while. "Applications we get from India are basically junk," says Ajay Pandey, who was acting director at the Indian Institute of Management Ahmedabad, before Ashish Nanda took over in August. Typically, chairs at universities are platforms for research , often funded by alumni. Apart from being a badge of honour for academics, they also provide extra support and resources for university faculty to delve into new areas. In the United States, alumni donate millions of dollars to fund research chairs at their universities. And given the successful track record of chair professorships in the United States, experts say they are useful in India as well. 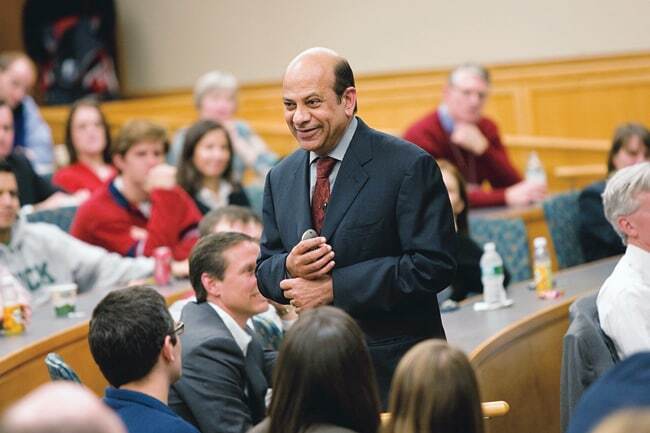 "Research chairs in business institutions are a phenomenal innovation by US universities in the field of cultivating alumni relations," says Vijay Govindarajan, Earl C. Daum 1924 Professor of International Business at the Tuck School of Business at Dartmouth College. But India is a bit different. Research chairs here are sometimes also funded by large corporations. "It is very rare in the US for someone to establish a chair at a university where he or she has not studied," says Govindarajan. Sandvik Mining India, for example, supports a chair at the Indian School of Mines (ISM), Dhanbad. It was instituted by Olof Faxander, President and CEO of Sandvik Mining. The chair has enabled substantial work by Indian researchers on safety in mines, environmental factors affecting mining and rock mechanics. "Sponsorship of research chairs facilitates dedicated study in areas of interest to the company. The findings are more comprehensive and authentic than some of the prevalent means of research today," says Soumitra Banerjee, President, Sandvik Mining India. Sandvik Mining is considering setting up a B-school chair too. Much of such research may be too arcane for a general audience, but it is useful for industry. For example, Kavil Ramachandran, Thomas Schmidheiny Professor of Family Business and Wealth Management at the Indian School of Business, Hyderabad, has analysed the effect of acquisitions by Indian conglomerates on stock prices of smaller companies owned by the same group. One reason for the lack of interest in research chairs in India is their unattractive pay packets. The Indian Institute of Management Calcutta is trying to work around this with a scheme for foreign faculty to teach just 15 hours in a fortnight, all expenses paid, and spend the rest of their time on research. Ashok Banerjee, Dean, New Initiatives and External Relations, IIM Calcutta, says the aim is to increase collaboration among faculty and encourage research. But he adds "salaries can't be matched"with overseas payments. Money is not an issue for IIM Ahmedabad. Samir Kumar Barua, its 10th director, raised the level of funding by ensuring an investment of at least Rs 4-5 crore for each chair to run effectively. Returns of about Rs 20 lakh from these funds are used to sponsor chair professors. But even that is no match for the multi-million dollar grants that US universities draw. 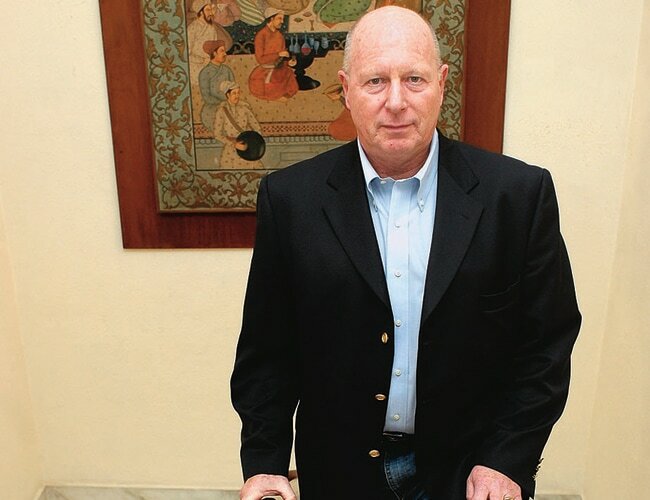 The Tata Group, for instance, gave Harvard Business School $50 million in 2010. "No Indian institution has that kind of money," says Pandey. Ramachandran at ISB suggests offering other incentives to attract people. "A way out is to hire younger people as chair professors and fast-track their careers, much like what large corporations do for future CEOs," he says. Not surprisingly, not much research is published in India. Still, some young Indian professors have been carrying out serious research in business and are being published in mainstream foreign journals. Chitra Singla, Associate Professor of Business Policy at IIM Ahmedabad, for instance, will soon have her paper, "Family Firms and Internationalization-Governance Relationships: Evidence of Secondary Agency Issues", published by Strategic Management Journal. It is one of 45 journals used by the Financial Times for its business school research ranking. "It is very difficult to get published in American journals," says Varadraj Bapat, who teaches at IIT Bombay. Is it going to get any easier to get professors to fill these positions? Govindarajan says it will be tough. But others are more hopeful. Pandey says if professors such as Singla keep publishing, in four to five years they will be in a position to take up chair professorships. It's a long wait, but hopefully not a futile one.